Weather in this area can be crazy sometimes. Snow one day and sunny skies the next. Sixty degrees today and twenty degrees tomorrow. The weatherperson on the news will try and predict the weather but we’ve all seen how sometimes no one can, even the professionals. One type of weather incident that can sneak up on people is hailstorms. A hailstorm can quickly come out of nowhere and cause a lot of damage to your vehicle. 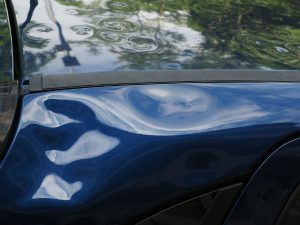 If your car is parked outside during a bad hailstorm, you might just come outside afterward and discover a lot of dents on your car. That will leave you wondering: Is hail damage covered by my car insurance? It depends. If you carry the right type of car insurance coverage, your hail damage should be covered by your policy. When you purchase comprehensive coverage on your vehicle, hail and storm damage to your car should be covered. 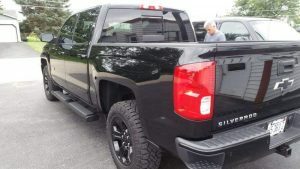 Comprehensive auto insurance will protect you against theft, vandalism, and even hitting a deer, so purchasing “full” coverage could save you a lot of money down the line. If you have basic liability only coverage, your hail damage will not be covered. The cost for repairing damage from hail to your car can sometimes surprise you. This is because the hail damage is usually spread across the entire vehicle: your roof, trunk, hood, and even side panels. That can create a lot of dents to remove. Hopefully, you will have comprehensive insurance to help cover these costs. It might seem like just a few dents, but hail damage can really affect the resale value of your car. It will be worth going through the dent removal process to get them taken out. If the damage is really bad, it might even require some auto body work or auto painting. Your deductible is determined when you purchase car insurance on your vehicle. Most insurance companies require a deductible on comprehensive insurance, but sometimes a zero deductible plan is available. If you have a deductible on your comprehensive coverage, you will need to pay this amount at the time you have your vehicle repaired. The cost to repair your hail damage will almost always exceed your deductible. Can my car be “totaled” by hail damage? Yes, it is possible if your car is old enough and the damage is bad enough, that hail could total your car for insurance purposes. This would be most likely if you are driving an older vehicle. The insurance adjuster might decide that the cost of repairs is not worth repairing compared to the resale value of your car. If your car has sustained hail damage, call your insurance agent right away. They will tell you the next steps you need to take and advise you how to file. You may be able to file the claim right there on the phone. Make sure you take photos so that you have evidence of the damage for both your insurance company and your own records. You will likely have to fill out a claim form. Your agent will advise you on when to seek a repair estimate. Does filing a hail damage claim raise my insurance cost? Hail damage is an “Act of God” that should not affect your insurance premiums. Not only will Probst Collision repair any hail damage to your car, but we are also happy to help you with handling your insurance claims. We want to help you get your car back like new as soon as possible. 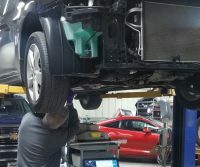 Need an auto body repair shop you can trust? What is the process of having your car repaired after a collision? In this post, we go through the basic steps of the collision repair process to get your car fixed. Immediately after an accident, your first step is to check on the safety of everyone involved. After checking on the people in the cars, call the police to file an accident report. The accident report will be important for documenting the collision and determining fault for the insurance claim. Once you have the accident report and the vehicles have been removed from the accident scene, contact your insurance agent to file a claim. Your insurance agent will help you figure out what action to take next and may suggest where to tow your car if it needs it. Your insurance carrier may prefer that you use a center within their network. Just because they may suggest a preferred auto body shop, that doesn’t mean they get to make the decision where to take your car for repairs. 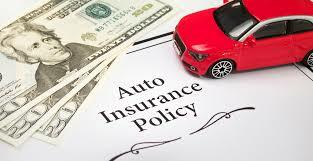 Your insurance coverage allows you to take your vehicle to body shop of your choice. 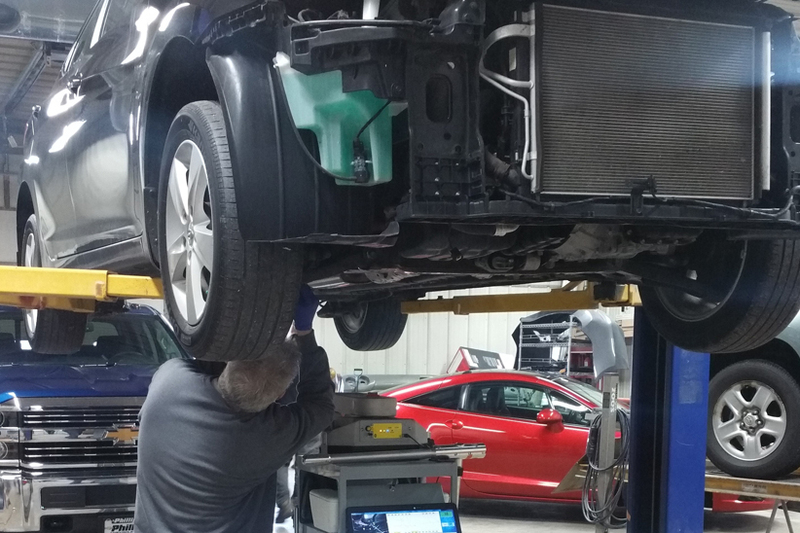 Once you have taken your car to an auto body repair shop, an inspection will be performed by a technician to determine the full extent of the damage. Parts may need to be removed to check for hidden damage behind them. Your mechanic will document all damages and create a written estimate for the cost of the parts and labor. You will receive a copy of the estimate and a copy will need to be sent to your insurance company by either you or the shop. Be sure to ask any questions you may have about the estimate and how long repairs may take. 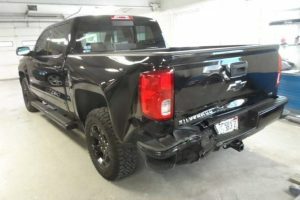 If the accident caused enough damage to the vehicle and you have an older model car, this is the point in the process where your insurance company may determine that it is not cost effective to repair the vehicle. 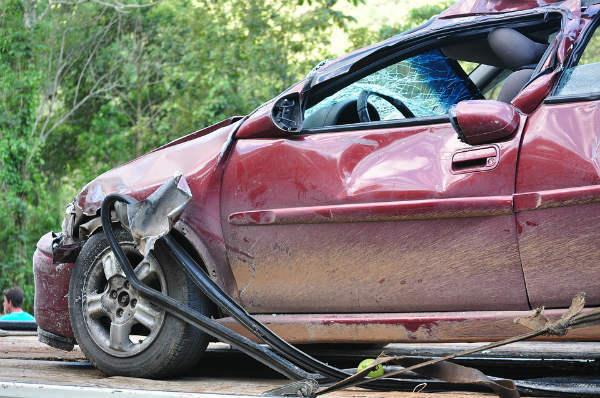 Car insurance companies label a vehicle a “total loss” when the cost to repair the vehicle to its pre-damaged state exceeds the cost of the vehicle’s worth or actual cash value. You will need to receive approval from your auto insurance company before you can authorize the body shop to begin repairs. Let your mechanic know as soon as you have approval because they may need to order parts to complete all repairs. You can ask the body shop if they will order aftermarket or OEM parts. OEM stands for Original Equipment Manufacturer. OEM are usually more expensive, but they’re often the preferred choice given the quality and warranty. Once the parts have arrived, the technician will complete the repairs. The auto body shop should begin repairs as soon as they can. You should have received an estimate for how long this process will take. It’s important to complete all mechanical repairs in conjunction with structural repairs if possible. First, they will get your car is structurally and mechanically sound. Then the bodywork can be worked on. Once bodywork is completed, all exterior parts will be straightened and prepared for paint. The final fix for your car will be the painting. 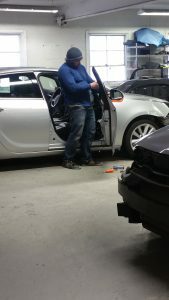 An experienced technician will precisely match the shade of new paint to the existing paint on the car. The vehicle is prepped to ensure the surface is perfectly smooth and adhesive. Parts are sanded, the primer is applied, the base coat is applied, and a clear coat is added to protect the finish. After curing, the painted surfaces will be polished to a glossy finish. Related Post: How Does Paintless Dent Repair Work? After repairs are completed, your car gets a wash and interior cleaning. The body paint is polished and surfaces cleaned and buffed. Your lights and safety components are checked and a quick test drive is done. At this point, if everything has gone well, it should be ready for delivery back to you. At this point, you should be able to return to the auto body shop and pick up your car. Your mechanic will give you a list of all repairs and expenses. Be sure to check your vehicle and make sure it is running normally. It can definitely be stressful when something goes wrong with your car. Whether it’s engine problems or dent removal after a car accident, you want to get your car fixed right at a fair price. How do you choose the right auto repair shop though? Every town has plenty of places to get your car fixed but it can be tough to find a mechanic you can trust. We’ve all heard horror stories about unethical auto shops. Some of us have unfortunately experienced it too. In this post, we review tips to help you find a good mechanic for your car. Ask your friends. When it’s time to spend money on repairs, there’s nothing like a referral from a good friend who has experience with the auto shop. A lot of repair shops get by entirely on referrals. Their work is of such high quality, their word-of-mouth is enough to generate new customers. Choose a repair shop that is clean and well organized. Cleanliness and organization are signs of a well-run business. It’s not hard to look at the outside of a business and start to gain an impression of how the place is run. Is the waiting room clean and inviting or a dirty afterthought? It helps demonstrate their commitment to quality. See how they treat customers. Are customers greeted in a friendly manner? Are they treated with respect? Do the people that work there seem to enjoy their jobs or hate being there? Sometimes a phone call to the repair shop will show you all you need to know about how they treat customers. Make sure the give written estimates. Sure there are businesses you may trust with a verbal estimate and a handshake, but when it’s your first time dealing with the business, you want to get their quote in writing. They should give you a written estimate and request your signature before they do any repairs on your car. See if they offer warranties. 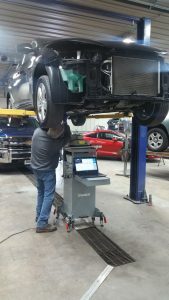 Most auto repair businesses stand behind their work and will offer you a warranty on parts and labor. Shop around before an emergency. 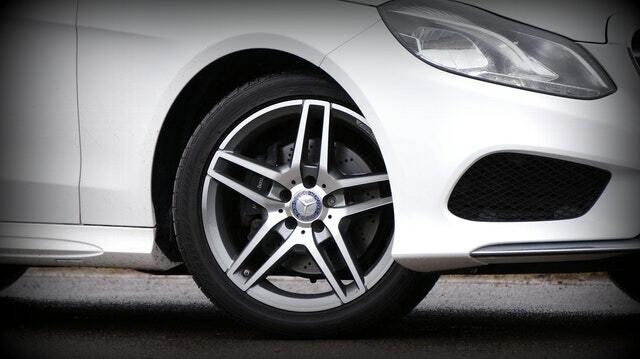 Don’t wait until you’re in a tough spot and are forced to take your car to the closest shop. Ask your friends and do your research ahead of time and lower your stress and the chances you’ll pick the wrong mechanic.